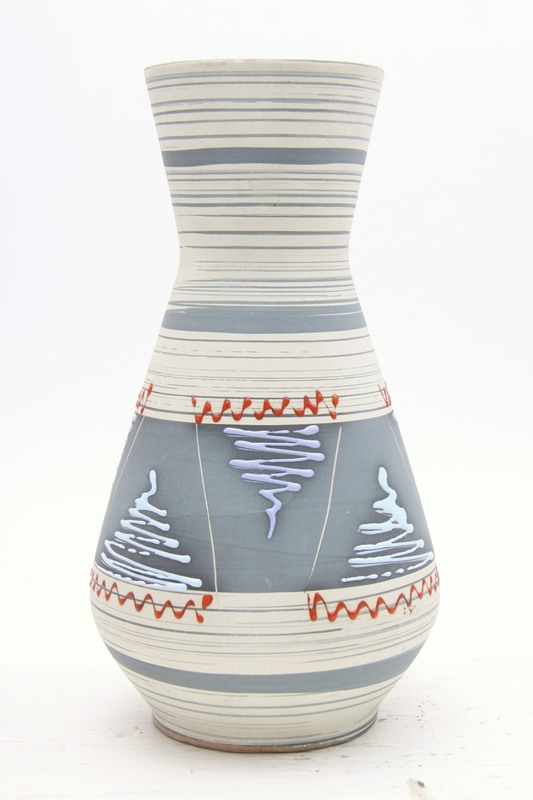 This is a Great mid century ceramic vase, made by Carstens, Austria circa 1960’s. 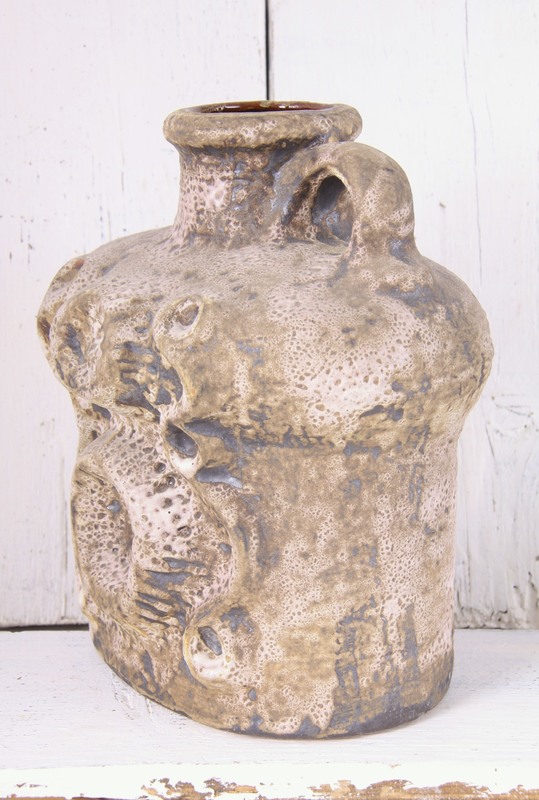 A Fantastic piece by this renowned West German maker, this piece was produced in their Austrian pottery. 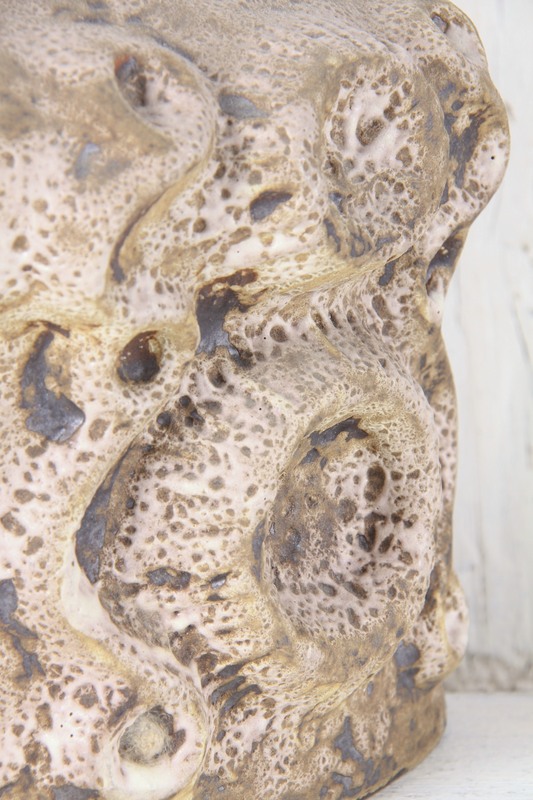 A Lovely well proportioned baluster form. 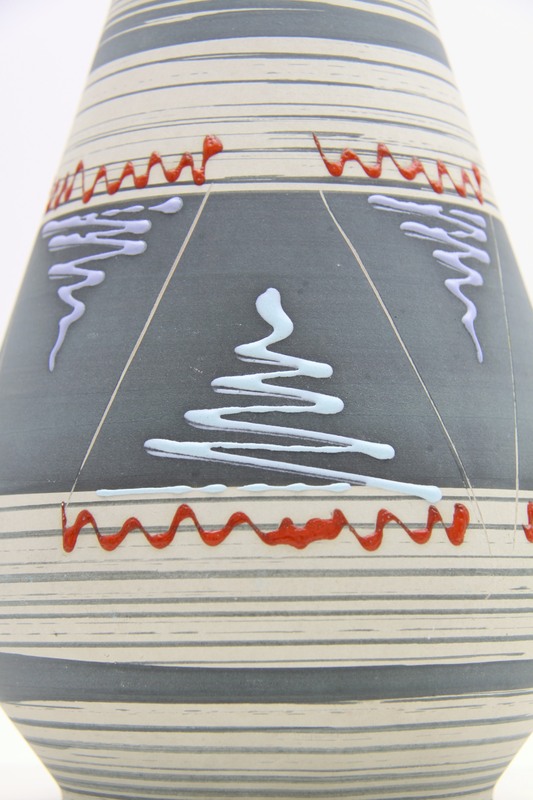 With a Fantastic decor, an off white matte base, with handpainted blue grey stripes, embellished with zig-zagging squiggles in blue and red and sgraffito lines. Very reminiscent of the era, reflecting the Atomic age / Eames era styles of the mid century period. 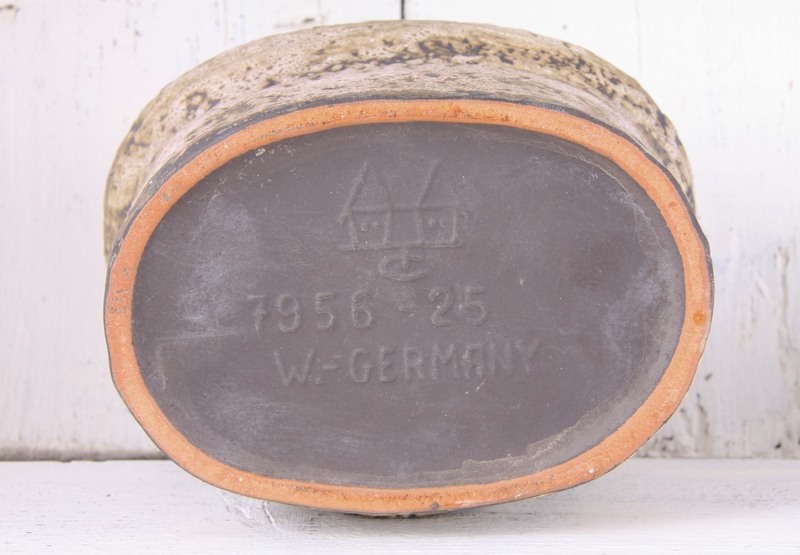 Would be Great as part of a collection of West German / Fat Lava / European Art Pottery, and would make a fantastic addition to any retro, vintage, 50’s, 60’s, 70’s, mid century, modernist, atomic style, minimal or contemporary interior. In Excellent Condition, no chips or damage. Measures 25.5 x 13 x 13cm / 10 x 5 x 5in. Moulded mark to the base ‘1218-25 Austria’.